Experience American Girl in an all-new musical, coming to The Maryland Theatre! 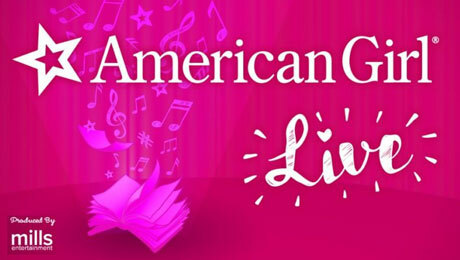 American Girl Live is a premiere stage production, featuring all-original songs and unforgettable experiences. Come along to sleepover camp with some new friends for an exciting summer away from home. As bold tales of bravery and friendship come to life, iconic American Girl characters lend a hand through story and song. Join your favorite American Girl characters and the campers as they follow their hearts, share their dreams, and learn the power of friendship. All children must be accompanied by paid adult; unaccompanied children will not be permitted into the Photo Opportunity Experience.